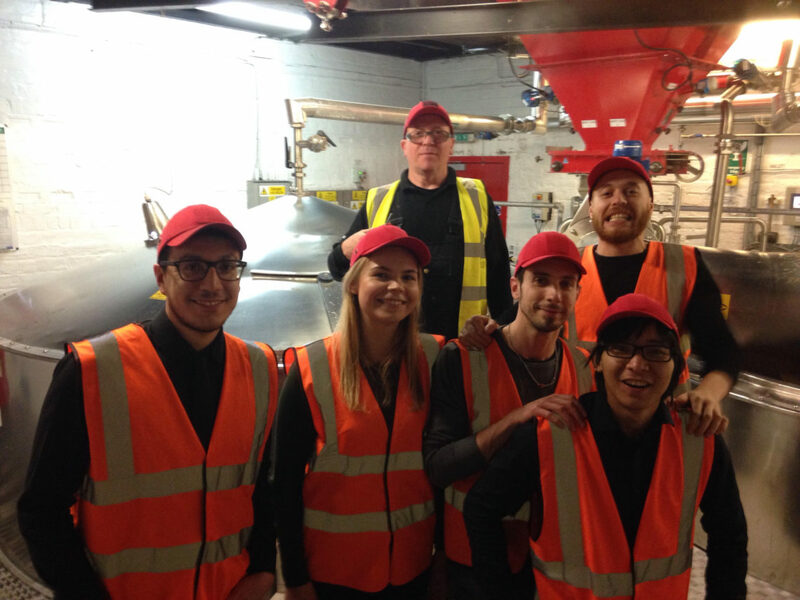 The Scottish Cafe & Restaurant team recently had an amazing opportunity to have an experience at the Caledonian Brewery. A chance they jumped at! brought to the factory), till the very end (when this golden liquid is distributed). Caledonian Brewery is unique not only by the location it has – but also by history. It was opened in 1869 and since then has managed to survive two horrific fires and is still growing and thriving. The brewery is very proud of its beer collection where we can find everything from traditional crafts to modern type. A lot of information received, for example, did you know that in one copper there are up to 20,000 pints of beer?! Caledonian brewery has three of them! This is the reason the malt is clean and delicate – it’s because the hops are correctly boiled and not sewed in these coppers. It takes time and effort, but it is worth it. And of course – the best part at the end – the tasting! After all information received throughout the tour it was a pleasure to try real Scottish beers made right in front of your eyes and to choose the favorite one accompanied with a warm scotch pie. On behalf of all The Scottish Cafe and Restaurant staff we want to say thank you to the Caledonian Brewery for welcoming us and giving this incredible experience.